BOOK YOUR 2019 AUCTION TODAY! Assemble The Best Team…Plan To Win…Prepare to Win…Expect to Win! People have auctions for many different reasons. Weather it’s an estate situation, retirement from farming or a business or perhaps a long-distance move; the reasons people have auctions are probably as unique as the individuals themselves. Auctions are an excellent way to liquidate a large amount of property in a relatively short amount of time. Additionally, the auction method of marketing holds many advantages for sellers who seek to maximize the return for their property by capitalizing on the opportunity for competitive bidding and the market driven pricing approach, known as price discovery. However, for the uninitiated, the prospect of having an auction can be a daunting task. Most individuals are apprehensive simply because they are unfamiliar with the process or they themselves have never attended an auction before. The professional auctioneers at Diamond S Auction & Real Estate Co. Inc. will guide you and your family through every step in the auction process to prepare for success on auction day. 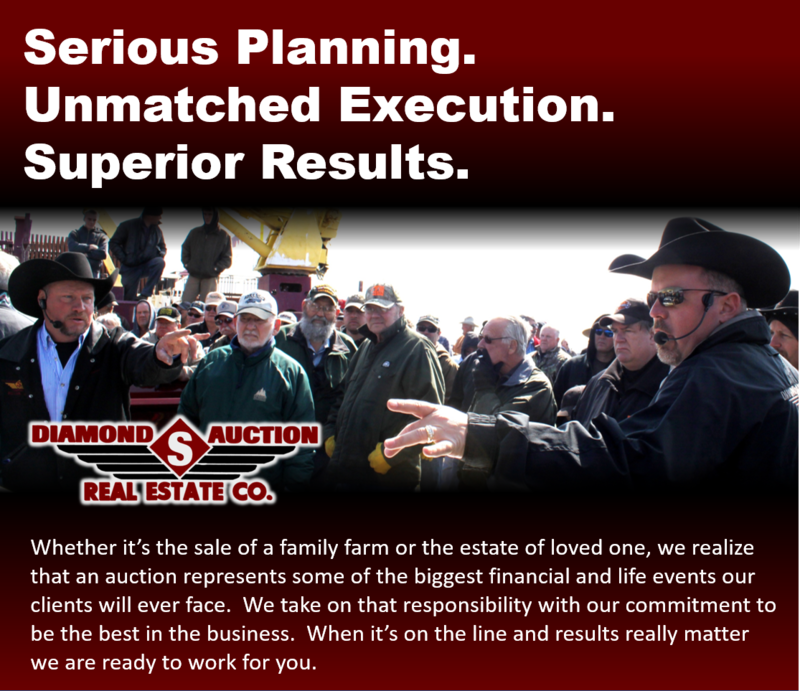 The auctioneers at Diamond S Auction & Real Estate Co. Inc. conduct auctions of all types in rural and urban communities across the state of Missouri. We look forward to helping you and your family along the path to a successful auction!